Two second half goals from Millwall saw them grab a super 2-0 win at Reading to see them consolidate their mid table position in the Championship. An own goal from Reading’s Leandro Bacuna and a strike from Lee Gregory was enough to take the points home for the South Londoners as once more Millwall’s defence stood up to be counted. 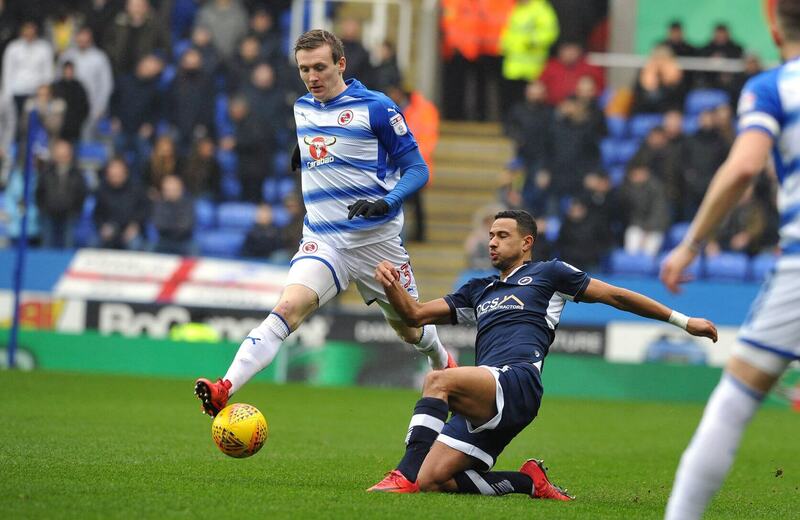 As in so many games of late Millwall’s defence soaked up wave after wave of opposition pressure to hold off Reading and stay steady in 14th place in England’s second league. Reading enjoyed 62% of the possession but managed a solitary one on target attempt on the Millwall goal while the visitors managed 6. That says it all in a determined Millwall side that Neil Harris seems to have well drilled and with the bottom three all losing it ensures that the Lions are now 12 points clear of the relegation zone. Another half dozen points or so should see Championship footie at the New Den next season so Harris’s direct play football aided and abetted by a defence that have learnt to put up brick walls between themselves and goalkeeper Jordan Archer means that Millwall’s consolidation in mid table was what Harris had aimed for at the beginning of the season is almost completed. Fair play, it’s not always pretty with some incredibly direct play up to lone striker Lee Gregory that amazes me that other Championship sides haven’t cottoned onto but i’m sure Harris will change the system for next season. This campaign was simply about staying in the league and the job is nearly done so hats off to Harris and his crew. This defeat leaves Reading in 18th place in what has been a poor season for the Royals after such a decent season last campaign and it wasn’t just the defeat that was a problem for the Berkshire club as the home fans got frustrated as the match wore on. Manager Jaap Stam said he was shocked to see Reading FC supporters boo defender Tyler Blackett off of the pitch as the former Manchester United man Blackett came on as an early sub. However he was withdrawn again following a sloppy performance and fans vented their fury at the 23-year-old who handed Millwall the second goal, booing him as he trudged off of the field. 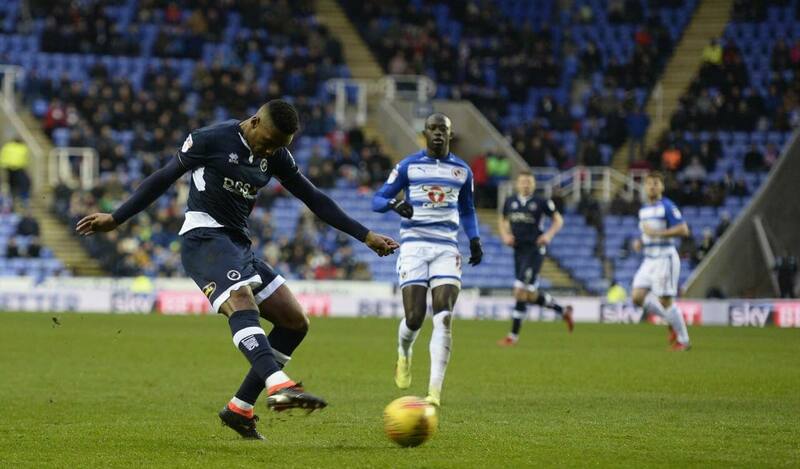 The visitors had already taken the lead through a deflected Mahlon Romeo strike in a game which saw Millwall dominate Royals throughout. Royals looked bereft of confidence throughout, despite an emphatic win over bottom club Burton Albion in midweek, as pressure mounted on boss Jaap Stam. However the Lions started with confidence that rarely waned in a focused 90 minutes of football and Millwall were almost gifted an early present when Tiago Ilori needlessly gave the ball away and allowed Lee Gregory to charge through on goal. The defender recovered quickly however and denied Gregory the chance to shoot. The visitors threatened again when a teasing cross from Wallace found Gregory in the middle but the shot looped high and over Vito Mannone’s crossbar with 10 minutes played. And Neil Harris’s men thought they had taken the lead when former Reading FC academy star Jake Cooper swept home from a free-kick with 18 minutes gone, only for it to be ruled out for offside. A tame pass back to the keeper by Bacuna nearly gifted Gregory another golden opportunity. Mannone was quick to react and cleared the danger. Yet despite the teams going in at half time goalless in truth Millwall could have been 3 or 4 up. Millwall from the restart started up where they left off and the Royals booed off by their own fans at half looked like they were sticking their thumb in the dyke before the waters spilled forth. And spill they did as Millwall finally took a deserved lead with 69 minutes gone when substitute Mahlon Romeo’s shot deflected off of Leandro Bacuna and sailed beyond the rooted Mannone in the Reading goal, sending the visiting supporters into la la land. Millwall quickly doubled their lead when Blackett once again lost the ball and allowed Morison to race clear. Morison teed up Gregory in the middle to simply round Mannone and tuck the ball into the back of the net. 2-0 and game over surely and so it proved to be as Millwall picked up their second away win of 2018.